Attention New Yorkers! The open enrollment period for health insurance is beginning on November 1st! We want you to make sure you are insured for next year, so you can not only stay healthy but also avoid paying the penalty for lack of insurance! We know that applying for health insurance can be incredibly confusing and even nerve-racking. So, we developed this list of health insurance open enrollment frequently asked questions to help make sure that you feel confident and informed when you go to submit your application! More importantly we have staff who can walk you step-by-step through the process. Schedule an appointment today to get a head-start! 1. What is the penalty this year for not having health insurance? Answer: In 2016, if you have no insurance, you could be penalized as much as $695 per person or 2.5% of your household income. 2. How much does a broken leg cost without insurance? Answer: It could cost you $7000 to pay for care for a broken leg, if you have no health insurance. 3. If I earn between $16,243 to $23,000 annually, as a one-person household, what is the maximum I will pay for insurance every month? Answer: This year, the New York State of Health is now offering the Essential Plan for those who are between the 138% to 200% of the federal poverty level. For a one-person household, with an annual income between $16,243 to $23,000, you could pay as little as $20 every month for health insurance. Answer: A deductible is a specified amount of money that you must pay for your health services before your health insurance company will cover you or share in your health care costs. 5. When is the health insurance open enrollment period for this year? Answer: Open enrollment is the period when you can enroll in private insurance and change plans, if you don’t qualify for Medicaid or Child Health Plus. This year, open enrollment will be on November 1, 2015 to January 31, 2016. If you want to have coverage by January 1, 2016, you must enroll before December 15, 2015. 6. Can I purchase a health insurance plan through the Marketplace if my employer already offers me health insurance? Answer: To be qualified for a plan through the Marketplace, your employer based health plan must be considered as “unaffordable.” This means that the employee’s share of monthly premiums for the lowest-cost self-only coverage is less than 9.56% of the family income. Also, most job-based health plans meet the minimum ten essential plans. If a plan does not, you can apply through the marketplace. You can ask your employer to see if your job-based health plan meets the minimum value. 7. During open enrollment, I picked a Bronze Plan with a low premium and high deductible. Later on in the year, I found out I needed a few procedures done and need a different plan with a lower deductible. Can I change plans? Answer: Once you are enrolled you remain in the plan for the rest of the coverage year. You may be qualified to change plan if you meet one of the qualifying life events. 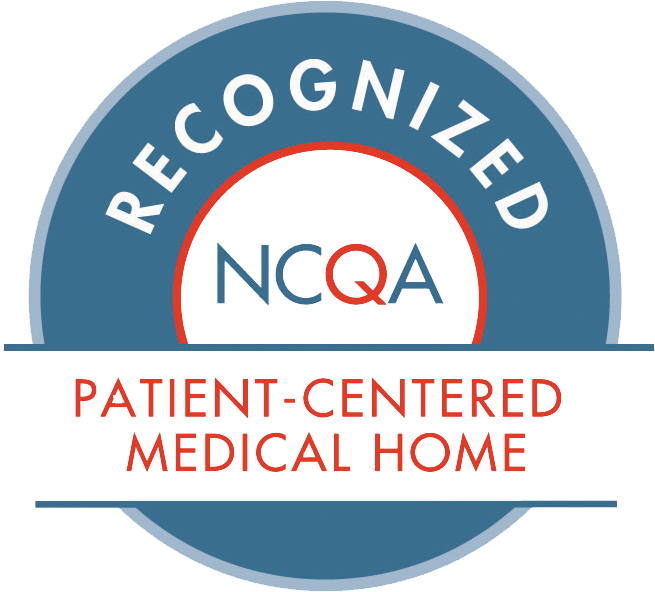 A change in health status does not make you eligible for a qualifying life event. 8. What are all the ways to apply for health insurance? Answer: You can apply online on the New York State of Health Website (https://nystateofhealth.ny.gov/). You can also apply via phone by calling 1-855-355-5777 (TTY: 800-662-1220). You can apply in-person with a Certified Navigator, Certified Application Counselor or Broker. 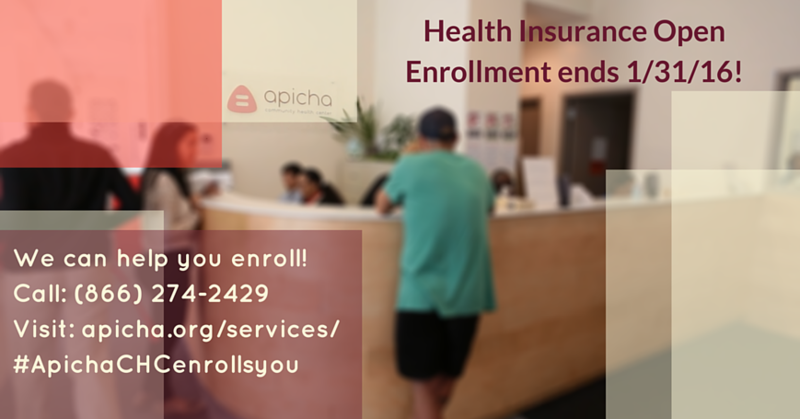 At Apicha CHC, we have certified navigators on deck to help you with your health insurance enrollment questions. 9. I work in New York City but live outside of New York State. Can I still apply for health insurance in the New York State of Health Marketplace? Answer: You must be a resident of New York State to apply for health insurance through the NY State of Health Marketplace. If you live out of New York State you can go onto healthcare.gov to apply through your State. 10. I currently have COBRA insurance and am having trouble paying the premium. Can I drop COBRA and apply for another plan through the Marketplace? Answer: During the open enrollment you can apply for a plan through the Marketplace even when you have a COBRA plan, but you must drop the COBRA coverage on the day you start your Marketplace plan. After open enrollment, if you voluntarily drop your COBRA coverage you will not be eligible for a qualifying event to enroll. If you have more questions, or you would just like someone to walk through the application process with you, our Apicha New York state-certified health insurance navigators would be more than willing to help you apply for health insurance. You can reach them by calling 1.866.APICHA9. You can also find more information on our website about our health insurance open enrollment resources or request an appointment to go over your application. Simply fill out the form and choose health insurance from the drop-down menu.